Julian is making his Kokandy debut! 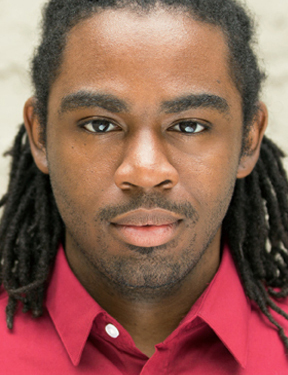 Julian was last seen in Urban Love Story (Black Ensemble Theatre) and Diary of a Worm, Spider & Fly (Emerald City Theatre). Other credits include RENT (Metropolis), Fugitive Songs (BoHo Theatre) Harriet Tubman: When I Crossed that Finish Line to Freedom (South Shore Opera). This summer, he will give the West Coast Premiere of George Lewis’ Afterword, an opera (Ojai Music Festival, CA). Innumerable thanks to family and friends for their support. Check out julianterrellotis.com.